I love easy grab n’ go recipes and this smoothie bowl makes the prefect breakfast when I need something fast, balanced, and on the go. 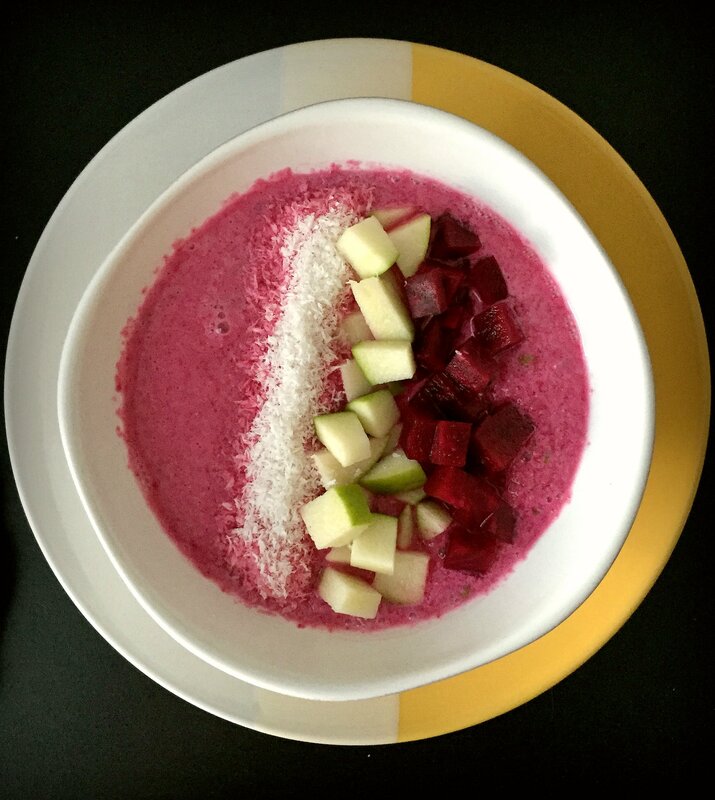 The natural sugar found in the beets and apples provides the perfect amount of sweetness while the coconut and almonds supply healthy fat and an added crunch. This recipe is a perfect balance of protein, fat, and carbs to stabilize your blood sugar and provide you with increased energy throughout your day. Place all ingredients (except almonds) in a blender or food processor and blend until smooth. Transfer to a bowl and top with almonds.